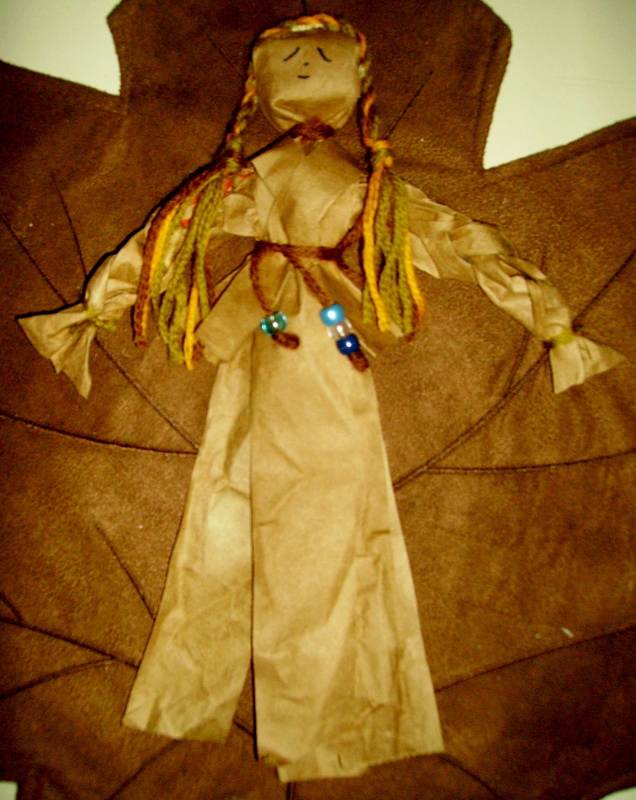 This is a cute little doll made from a brown grocery bag, but in the style of the corn husk dolls. Very easy and really a cute, inexpensive project. I’ve listed this project, “Fake Corn Husk Doll,” in the Miscellaneous Projects Gallery in the sidebar. Click on the image to the left to get a full view of the doll. This entry was posted in Miscellaneous and tagged brown bag doll craft, brown grocery bag, brown paper bag, corn husk doll, corn husk like doll, fake corn husk doll, grocery bag doll, indian art project for kids, indian corn husk doll. Bookmark the permalink.